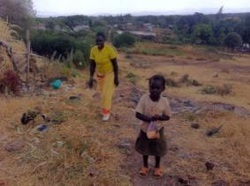 Esther is orphaned and is currently being cared for by her aunt (who also has 2 children of her own). Esther’s father died first, and shortly after that her mother disappeared and has never been traced. Although she is of school-age, her aunt could not afford tuition fees and even feeding all three children has become a problem for her. Esther's aunt (who is widowed) works as a casual labourer in the neighboring farms (a very low and unreliable income) and whenever she gets the chance. 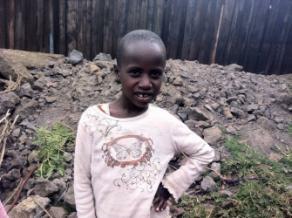 Without sponsorship she was depended on well-wishers to meet the children’s basic needs. Teresa’s mother disappeared when she was very young during local conflicts and it has never been ascertained whether she is alive or dead. Teresa lives with her aging grandmother. No-one knows who Teresa’s father is. 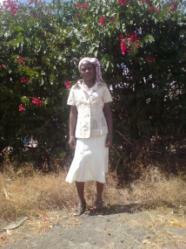 Recently her guardian became unable to provide even rudimentary care for her, and she was sent to look for work. She was employed as a house maid in exchange for food and shelter, but it became evident that she was being abused by her employers and threatened regarding what would happen to her if she left. A concerned member of the local community, who lives not far from Teresa’s grandmother learnt of this and worked through the government to rescue the child from this slavery. Teresa is now very happy to go back to school and complete her education. Her guardian was displaced by conflicts in Isiolo and both are now living with a well-wisher in the community. 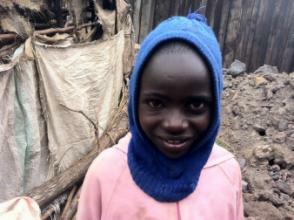 Without sponsorship she has been dependent on collecting and selling firewood to earn a little money for food. 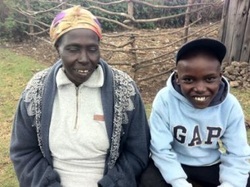 Mburugu is mentally challenged and lives with his 90 year old grandmother. Both parents are dead. Through donations from a church he has managed to attend some schooling in a school for the mentally handicapped. However, this support did not last, and he then dropped out of this school. He now lives with his grandmother at home. His grandmother is ailing and now unable to even provide meals for him or any other basic needs, without the external support he now receives. Newton’s parents are not known. He was rescued from streets by the woman who is now his guardian when he was found abandoned at approximately 4 years of age. The guardian has 6 other children of her own to care for and is divorced. She has no land and rents a small room where they all live. The guardian is very grateful to have fond someone to help her educate Newton. Christine’s mother disappeared during the conflicts and her father has never been known. She lives with her guardian who is nearing 90 years and who suffers from dementia and has mental lapses. This extremely elderly woman was also left with three other kids but sent them to work as child labourers. She is affected by the fact that she has no more information about them and fears they might have been enslaved or even abused since the employers have never allowed them to come and see her. 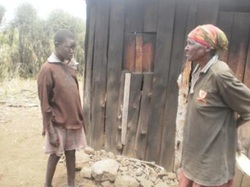 Without sponsorship Christine and her guardian would be dependent on collecting and selling firewood to earn a living. 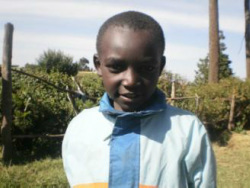 Felix is orphaned and lives with his grandparents, who are suffering hypertension and diabetes. They are unable to work anymore to support him. They are both jobless and with huge medical bills to pay. They appreciate that someone has helped them bring Felix back to school. Millicent and her Sister Winfred live with their ill and aged guardian, who is approximately 70 years old. The children were abandoned when they were very young and the guardian took them in after they were found in the streets with no carer. At this point there were three children. The guardian, with no other alternative, sent the elder two to look for work in the fields, as she herself did. The youngest of all, a girl aged 2 years would normally be left home with no one to take care of her, locked inside the small fenced off-area where they all lived. One day when they were all out, it rained very hard, and the little girl was found dead when they returned. At another time, the two older girls were abducted to be ‘employed’ but through the local chief, they were rescued. Millicent and Winfred have previously attended school via the contributions of well-wishers and are very grateful to have someone now sponsor them to continue.